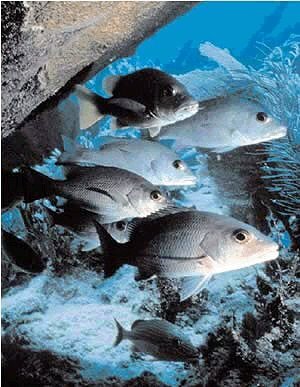 Below is a list of resources such as news articles, web sites, and reference pages provide a comprehensive array of information about dead zones- in the Gulf of Mexico and worldwide! 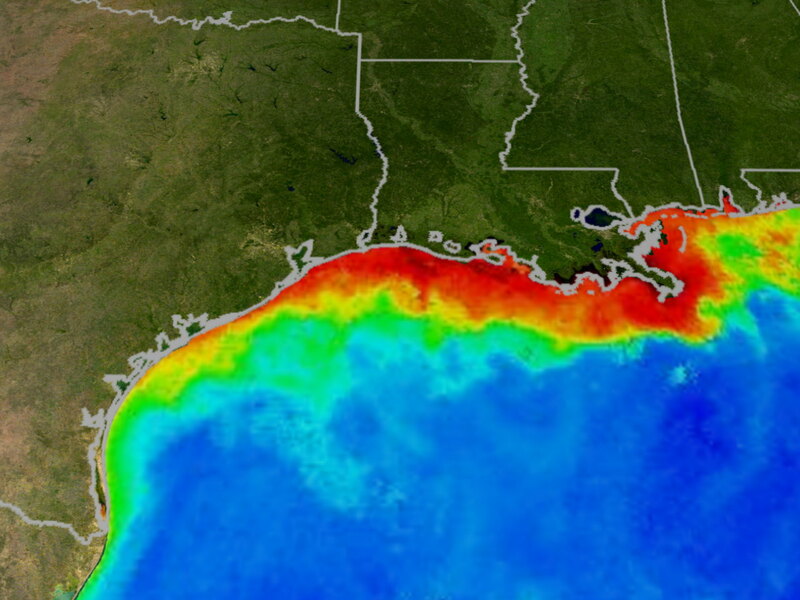 Summertime satellite observations of ocean color from MODIS/Aqua show highly turbid waters which may include large blooms of phytoplankton extending from the mouth of the Mississippi River all the way to the Texas coast. When these blooms die and sink to the bottom, bacterial decomposition strips oxygen from the surrounding water, creating an environment very difficult for marine life to survive in. Reds and oranges represent high concentrations of phytoplankton and river sediment. Image taken by NASA and provided courtesy of the NASA Mississippi Dead Zone web site. Advanced Collection: Compiled for professionals and advanced learners, this dead zone collection includes resources such as journal articles, academic reviews, and surveys. For Educators: This dead zone collection includes activities, assignments, and reading materials created specifically for educators. Back to The Gulf of Mexico Dead Zone main page. 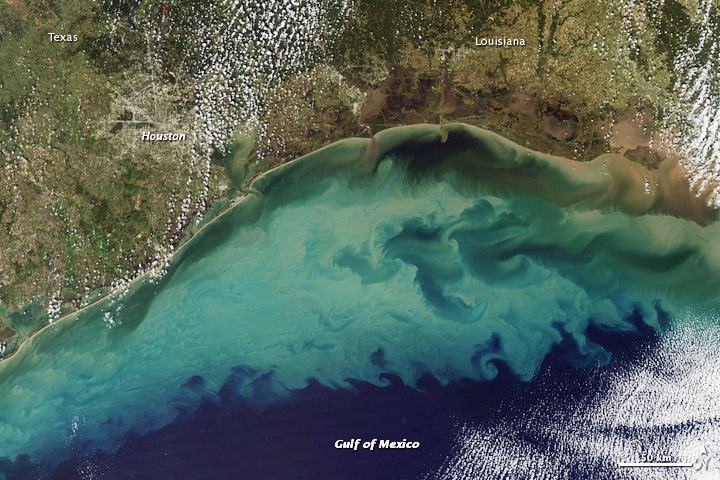 For additional resources about dead zones, search the Microbial Life collection.